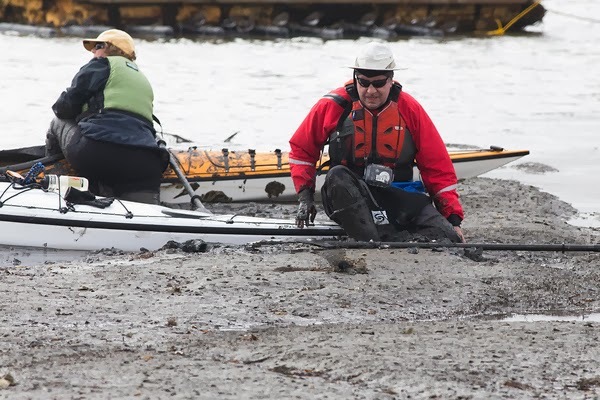 Update: The oyster farm lost its legal battle and was closed, but there will still be access for kayaker day use at the site, says the National Park Service. Check its Web site. ﻿﻿﻿ who made a pit stop here in 1579. Today, it’s known for incredible scenery, scads of seals and waterfowl, and a venerable oyster farm – at least for the moment. But first things first. stops in between. It’s well known that flows here are a bit tricky and mudflats expansive. Our pod of Sac Yakker kayak club members had to make several detours along the way and still bumped bottom. Muddy, sure – but not all that bad. So NorCal Yak pal Karen and I weren’t too concerned as we glided up to the mudflats only a few feet from where we had launched about six hours earlier. We stepped out of our yaks and suddenly experienced a sinking feeling. No problem, happens all the time, that’s why we wear high-top rubber boots. Just took another step forward and – wow, that goo really was deep. Near boot top. Over the boot. And then the knee. That sucked. Literally – it felt like some muck monster had grabbed our legs and wouldn’t let go. Did I mention the stench? Prime primordial ooze, aged to perfection. Let’s just say that a mountain of cow manure topped with dirty diapers smells like Chanel No. 5 in comparison. It was a testament to our predicament that we hardly noticed the odor after a few minutes of struggle. But we also didn’t know about the coyotes. Remind me to get back to that. 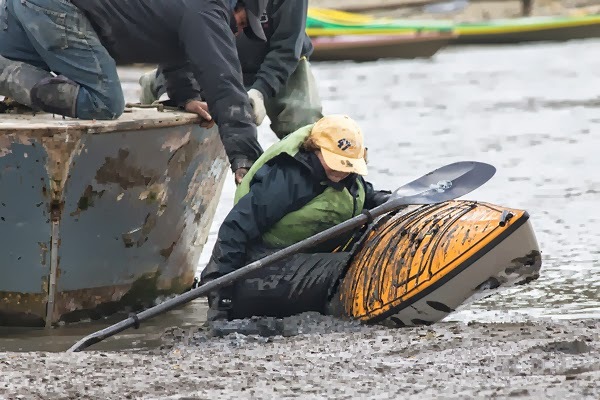 First, understand that Karen is a strong, capable kayaker who never gets flustered and feels right at home in most any paddling situation. So when I heard a voice that sounded like Shirley Temple as a child saying, “Help….help me…” well, it gave pause. I couldn’t even turn around to see how bad off she was. “Hang on, I’m coming,” I called gamely before mightily struggling to move not an inch in her direction. The goo was only at mid-thigh on me. I felt strangely at peace, thanks to an extensive childhood education from old Tarzan movies. I knew what was inevitable when someone stumbled into quicksand. But Drakes goo wasn’t quick or sandy, and that made it worse. Plenty of time for my life to flash before my eyes, and frankly it wasn’t a pretty sight. Or maybe it was just the view of several photogs snapping away at us from shore. How long did this go on? More than 20 minutes for sure. Then a couple of oyster farm workers looked over and noticed Shirley Temple and the goofy guy who seemed resigned to a gooey death. They gave a wave, popped into their outboard, puttered over and carefully pulled us out. Thanks again to Jorge Mata and Valerio Salgado. They even hosed gobs of goo off of us before going back to work. That brings me back to Drakes Bay Oyster Company and a different sort of mucky mess. 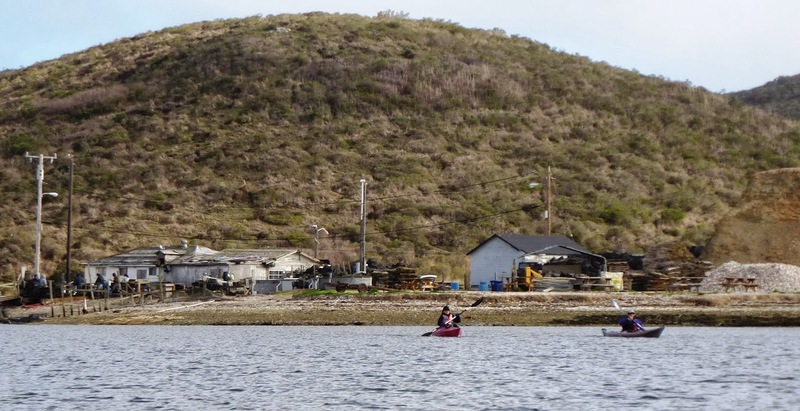 There’s been an oyster farm on this site for 80 years. Current owners have a deal with the National Park Service that’s fallen into dispute. NPS wants to kick them out lock, stock, and shell. There’s a temporary legal stay while the farm owners appeal to the U.S. Supreme Court. Both sides have heavy-hitters and strong emotional pleas. NPS says the farm hurts the environment, though an independent panel of scientists found NPS misrepresented its case against the farm. I have no desire to join in the fray, thank you. 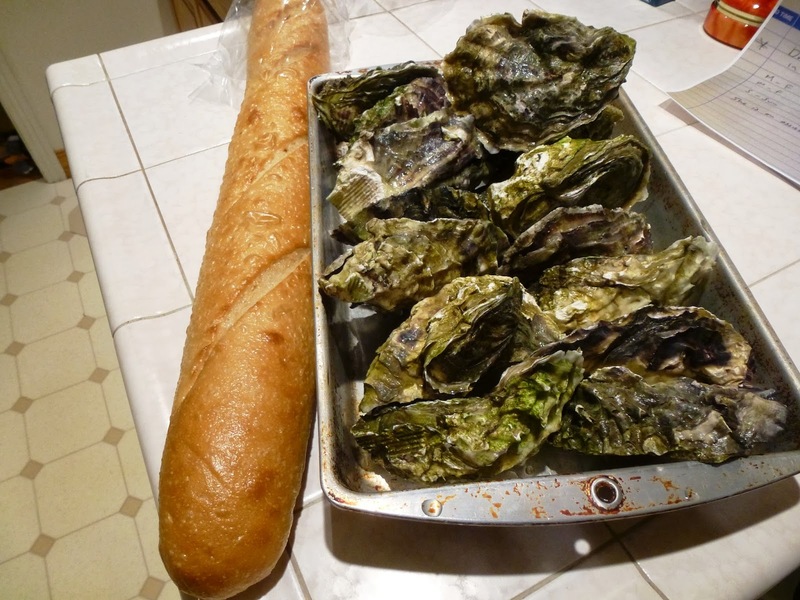 But as a former muckraker (news reporter) who has enjoyed Drakes Bay oysters for more than 25 years ago – long before I needed rescue from the goo – I just can’t help but wonder…. 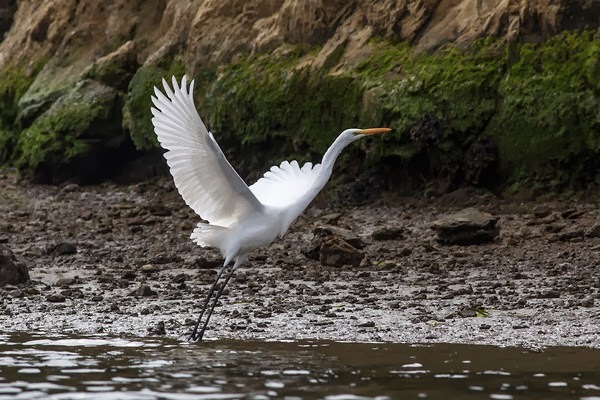 If oyster farming is so bad, then why does wildlife continue to thrive, as wonderful photos by NorCal Yak pal Tom Gomes attest? 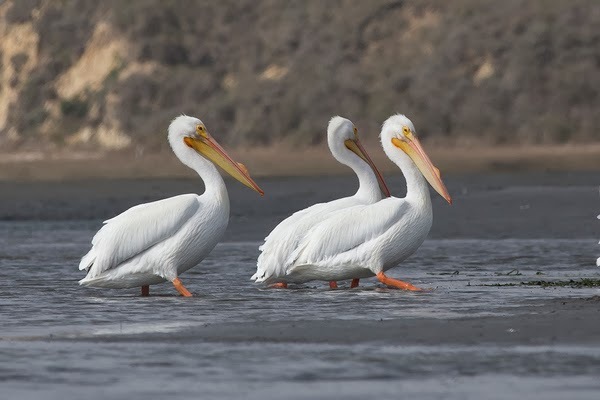 Since oysters are among the most sensitive marine critters, why remove an early warning system for pollution – would you kill canaries to protect a coal mine? And the estuary and bay encompass such a large area – why can’t we all just get along? But back to our brush with gooey death. About those coyotes. After we got out and cleaned up, I asked one of the farm owners how often the unwary fall victim to the goo. She described how deer wander onto the beach at low tide and become mired down. Then coyotes saunter up, wait for the tide to come in, and swim out to kill the deer. Relative to that fate, the life that had flashed before my eyes looked pretty good after all. Drakes Estero is part of the Point Reyes National Seashore and subject to the Marine Mammal Protection Act. (Here’s what it means.) 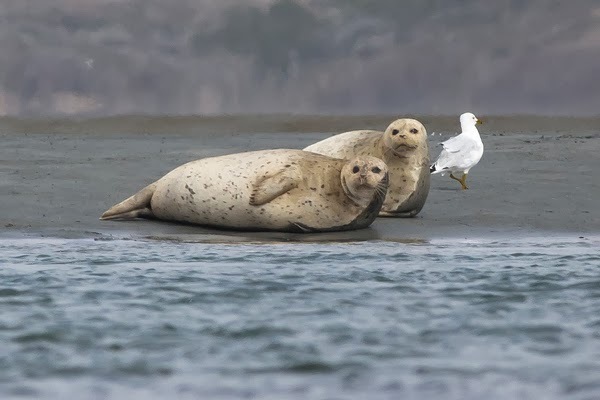 The National Park Service closes the area to boaters – including kayakers – from March 1 to June 30 for seal pup season. 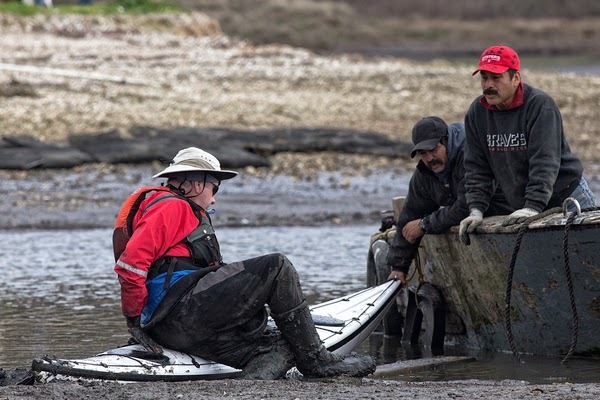 Our Drakes Estero trip was organized by Sac Yakkers, an adventurous kayaker club based in the Sacramento area. And thanks to Sac Yakker Tom Gomes for the use of his photos. If you go to Drakes Estero when the mudflats seem too soft underfoot, ask the nice folks at Drakes Bay Oyster Company if you can use their side of the beach, where footing is solid. They also have restrooms with hot water. And don’t forget to buy some of the freshest oysters around. (All this assumes they get to stay on, of course.) They also have a Web site on their fight with NPS. A practical tip: Where you can see a lot of oyster shells on the shoreline, footing will be better.